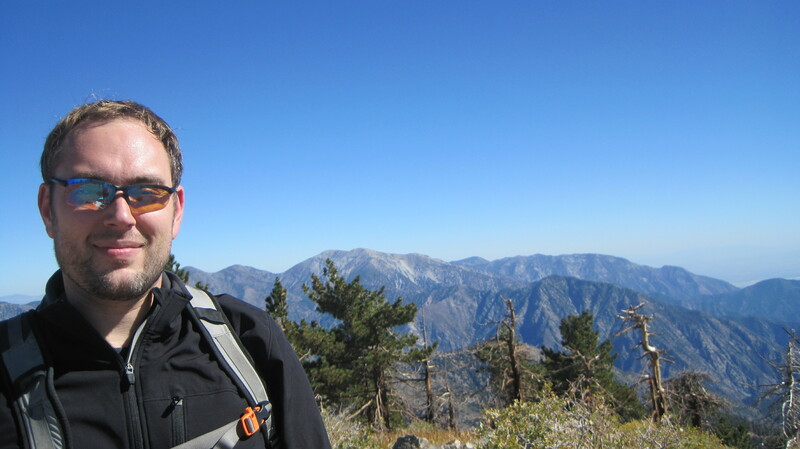 Got out with Laura yesterday afternoon to do a hike that we’ve never done – Dawson Saddle to Throop Peak. 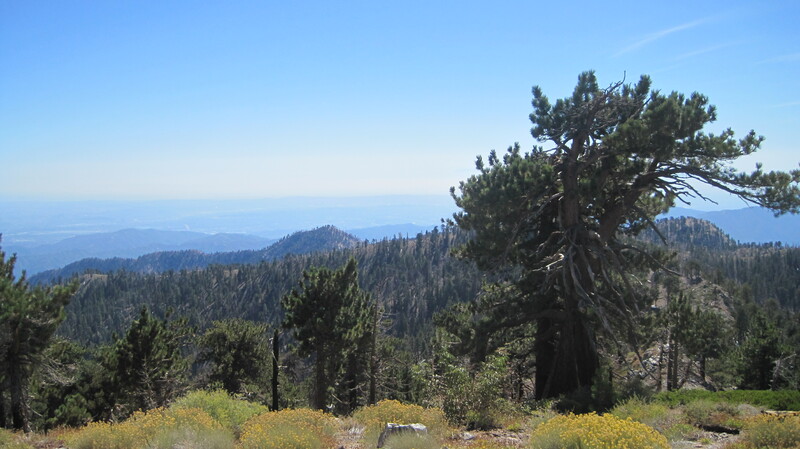 Dawson Saddle is about 20 minutes from Wrightwood in the Angeles National Forest. 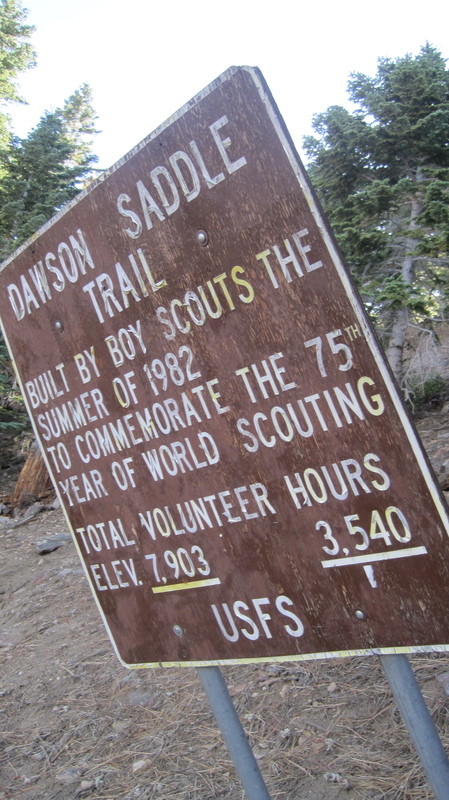 We started our hike at just under 8,000 feet. Temps were cool – about 55 degrees or so. The first leg of journey was a little sketch. 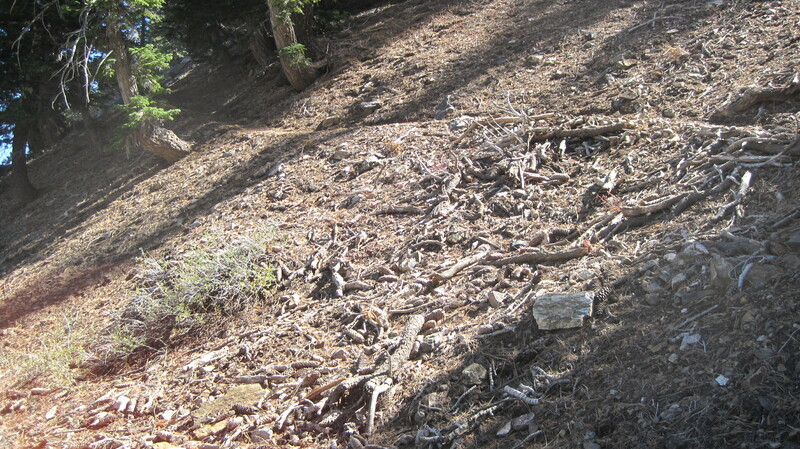 Later I figured out that we’d started up, not the regular trail, but a splinter trail – hence why it was sketch. 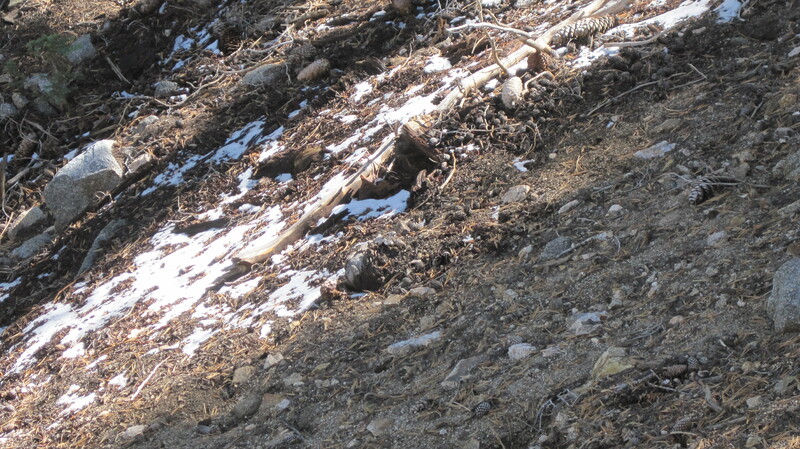 After a bit, though, the trail widened and straightened out. 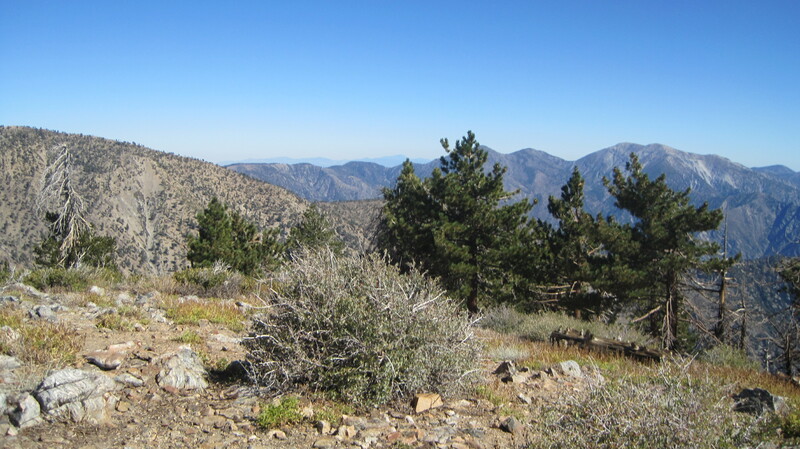 The trail traverses the ridge of a mountain, bringing with it all sorts of extraordinarily beautiful views of the Mojave. After about a mile or so, we found ourselves amongst the first snowfall of the year. 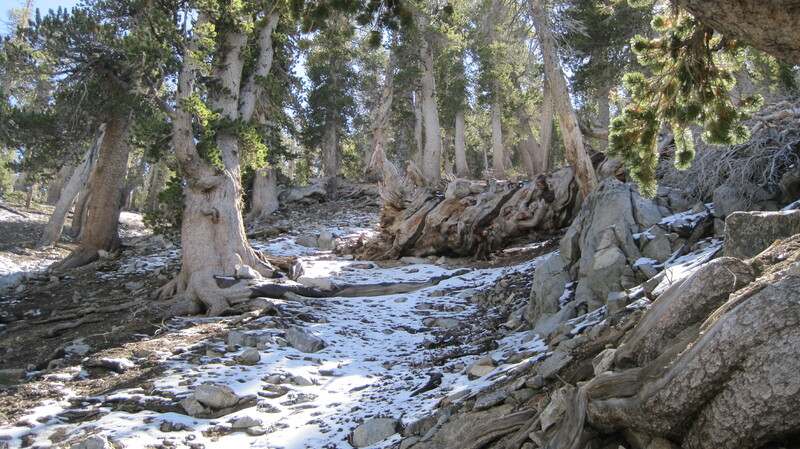 It was a small dusting but did increase in depth a bit more as we went along. I love the first snow of the year. What a great feeling! 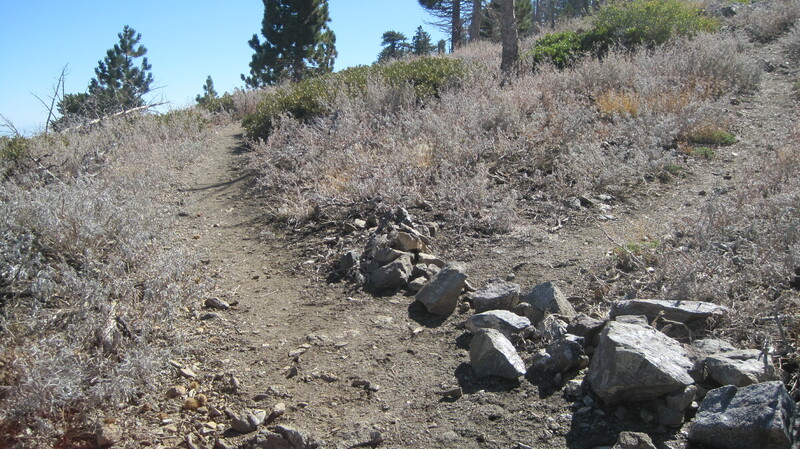 Anyways, the trail links up with the PCT. 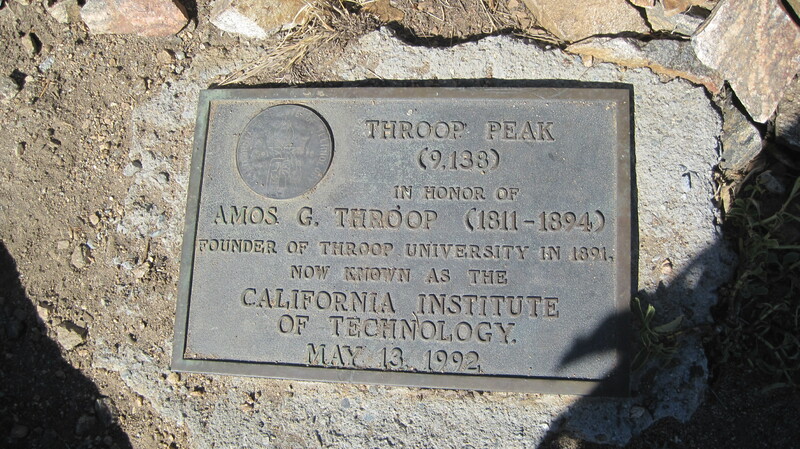 Just before that, however, is the trail to Throop (pronounced “TROOP”) Peak. 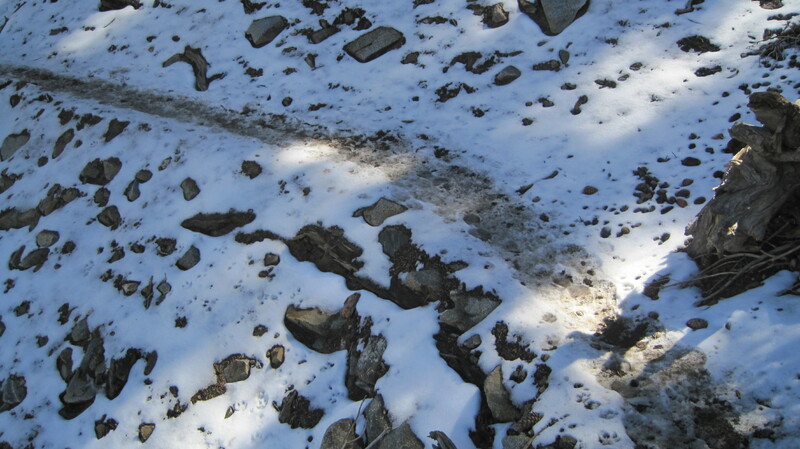 I’ve added a picture of that trail, since it is very easy to miss and it isn’t maintained all that well. 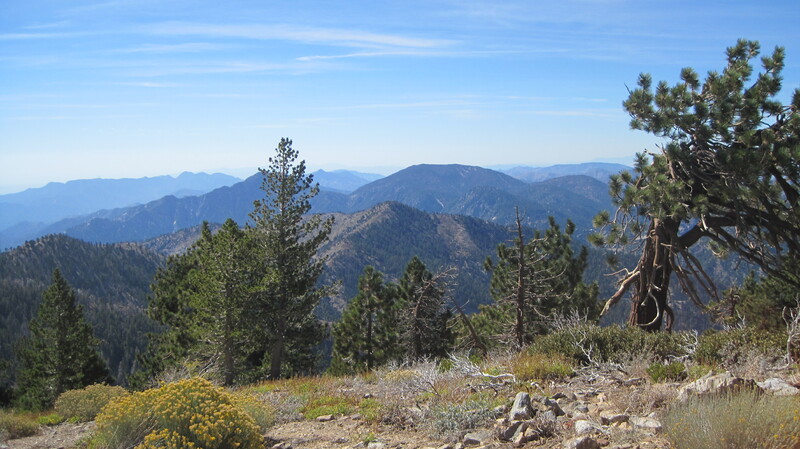 We ascended .3 miles or so to the 9,000’+ summit up a pretty steep incline but made it to find a breathtaking 360 view of everything around us: Baden-Powell, Baldy, Wilson, Hawkins, etc. 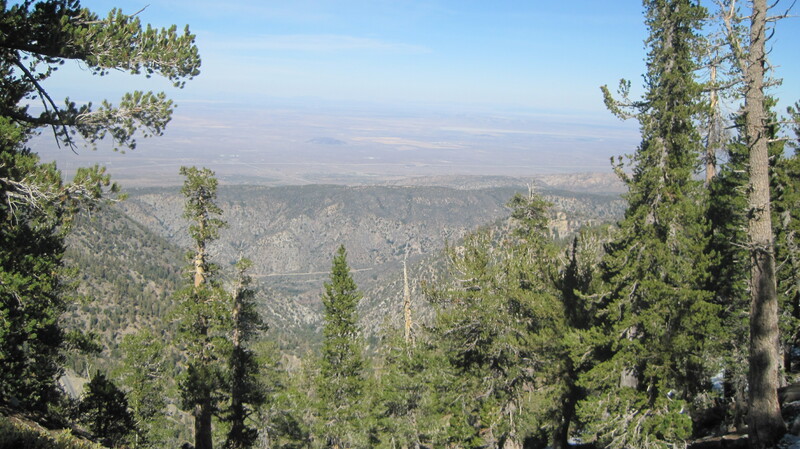 Honestly, this summit isn’t talked about by too many people, but the view is pretty awesome. 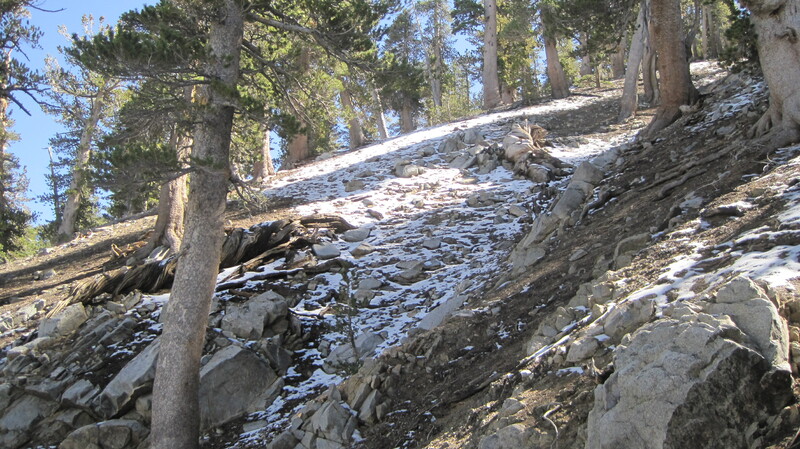 Will definitely be going up this trail again sometime soon. And another summit was bagged 🙂 I’m going to do a little goal setting now. 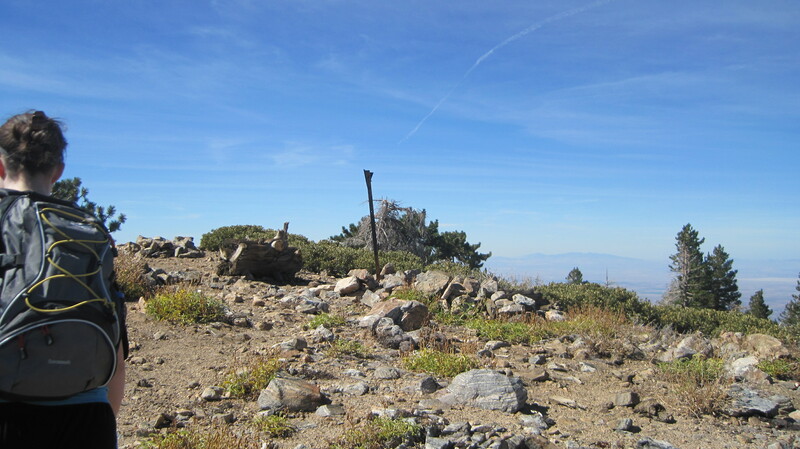 Posted on October 10, 2010, in hiking and tagged dawson saddle, pct, throop peak, windy gap. Bookmark the permalink. Leave a comment.